is it just an obsession? I think we’re distracted by many lovers. Who are the lovers, you ask? Anyone and anything that keep us from a whole-hearted devotion to God. In a letter written to the believers sometime around the year A.D. 90, John the disciple exhorted them saying, “keep yourselves from idols” (1 John 5:21). When we read through the Old Testament we find many warnings given to God’s chosen people against having false gods in their lives. Do we really think we are a better people in the year 2013? Do we think we mastered the human adulterous tendency? I don’t even know where to begin to help us identify the idols… uh-hem, obsessions in our lives. The enemy is so cunning in influencing us to disguise them, but it’s obvious to say that anything taking the place of the Lordship of Jesus Christ is an idol. In this case, we may be talking about a person, a thing, an activity, or even a state of being. I know, that one caught me by surprise too. Conference speaker Ken Sande explained our idolatrous tendencies and helped us to identify them even when the worship is not of something tangible but an ideal. He shared personally about the sacrifice of his young children’s tender hearts as he berated them for arguing over who got the front seat of the car. It was at that moment he realized his pursuit of peace crossed over to an unholy sacrifice unto an unholy god. As a young mom, I sacrificed time spent with the Lord each day. Instead of growing in my relationship with Him, I worshiped the ideal of being in good shape. Having physical fitness is not dishonoring of God; in fact, it is just the opposite. Our bodies are the temple of the Holy Spirit, and we are wise to take care of our physical and spiritual well-being. But that is where I faltered: I gave more of myself to physical pursuits than spiritual ones. It was 1 Timothy 4:7-8 that set me straight. 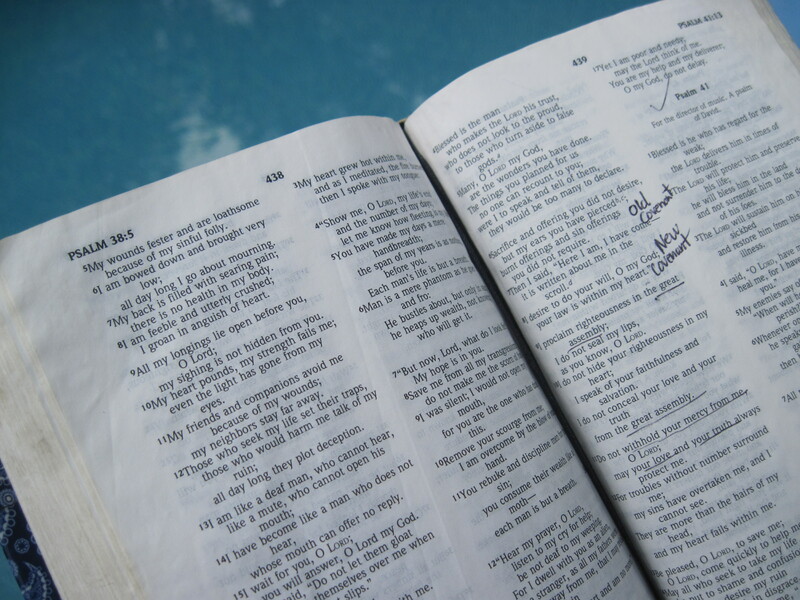 Paul writes, “… train yourself to be godly. For physical training is of some value, but godliness has value for all things, holding promise for both the present life and the life to come.” I committed myself in prayer asking God to forgive me for making something temporal of greater value than that which lasts for eternity. It was time for a rearrangement of my priorities. Who or what is crowding your time with the Father? Why does it matter, you ask? Because, if we are to walk with God, then we need to know Him. There cannot be a relationship apart from time spent together. It is the relationship with God that equips us with faith needed to live a faithful life- a life of believing God based on our knowledge of His ways. And this is His heart: that we keep ourselves from idols and live fully dependent upon Him, for He knows only His love and provision for life truly satisfy. Thank you for this important reminder. My pastor yesterday talked about Mary and Martha and reminded us that what Martha was doing wasn’t a sin. Providing a meal wasn’t wrong. Her attitude was a sin, however. Her need of recognition, her priorities were sins. We all have things God would have us do: parent, take care of our bodies, work hard at a job, witness, work in the nursery at church. But if even good activities crowd out our time with the Lord, of sitting at his feet and listening to him, we have turned them into idols. May God help us put him first, last, and in between everything we do today! God bless you and thanks again for sharing this important message. I have never heard it said like that- “Put him first, last, and in between everything…” I really like that because I’ve never been too keen on “keeping God first in life” as if He can be contained in a compartment! Thanks for sharing!